I will never forget walking up to the Love Creek area after the big slide in 1982, As I walked up and down the deserted streets it was eerie. Here was a whole neighborhood of homes, but no people.No kids playing or dogs parking. No cars driving by. Not a sound. There was a bicycle leaning against a tree as if it’s rider would be right back. I saw a kids Hot Wheels in front of a house as if he’d just been called in for lunch. A couple of cars were still parked in their driveways, but not a soul anywhere. As I walked around the hill I saw what was left of a house that had slid. The remains were held up by a tree in it’s path. In many areas where I walked, it looked like the residents had just left for a few minutes and would be right back. The damaged homes showed the real tragedy. People had died here, buried under mud and debris. Some were never found. A whole neighborhood was gone in an instant, never to return. 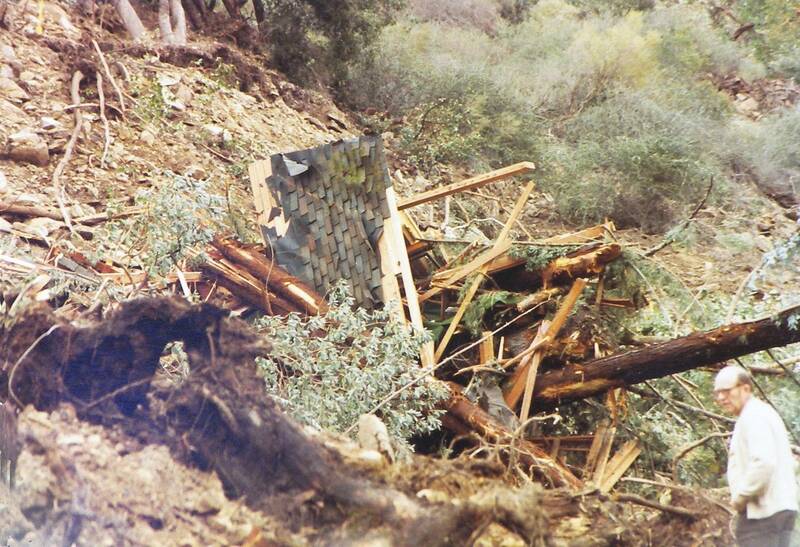 This entry was posted in Disaster Diary and tagged 1982, Ben Lomond, Disaster, Love Creek, mud slide, slide. Bookmark the permalink.